Posted on September 24, 2013	by chainsoff. About two weeks ago an Iranian national, Seyed Ramin Miraziz Paknejad, was arrested in Kuala Lumpur on suspicion of forging passports and visas for Tehran-backed terrorism and human trafficking organizations. Paknejad’s forgery syndicate operated for about five years in Thailand and sold more than 3,000 counterfeit travelling documents (making him a rich man, with estimated profits of approximately $3 million). On the face of it, just another criminal opportunist. But no, take a closer look: turns out that Paknejad was part of Iran’s well-documented abuse of diplomatic privileges and instruments for very non-diplomatic activities. 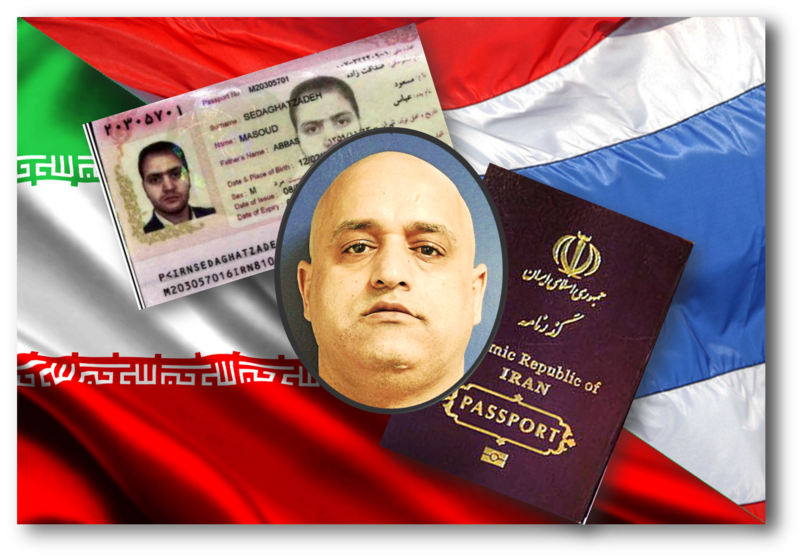 In fact, Paknejad has been implicated in forging passports for the bombers in the botched Iranian terrorist attempt in Thailand back in February 2012, which led to the arrest of five Iranian nationals – including Paknejad himself, who managed to subsequently flee to Malaysia. There he will now be charged for entering the country on a forged Turkish passport, but will probably be extradited back to Thailand to face charges for his involvement in the terrorist plot. From the initial evidence, it seems that Paknejad’s involvement with human trafficking was not directly related to the Iranian regime, but his work for Iranian terrorism definitely was. Tehran is known for this familiar mixing of diplomacy, crime and terrorism – as demonstrated by its 2011 attempt to assassinate the Saudi ambassador to the US. Indeed, the Bangkok terrorist incident was one of three other such attempts during the same period – in India, Georgia and Kenya – with the elite IRGC-Qods forces the common denominator. The Paknejad money trail is certainly bad news for the regime’s cover-up efforts. Suspicions of the involvement of Iranian diplomacy in subversion activities surface regularly. So while Iran’s diplomats in Thailand have yet to be directly implicated, the trail of evidence could very well lead to the doors of its Bangkok embassy in the near future. Stay tuned. Update August 22nd: Thai court sentences Iranian terrorist, Saeid Moradi. to life in prison for the attempted murder of Israeli diplomats. Hi accomplice, Mohammad Khazaei, was sentenced to 15 year in prison.